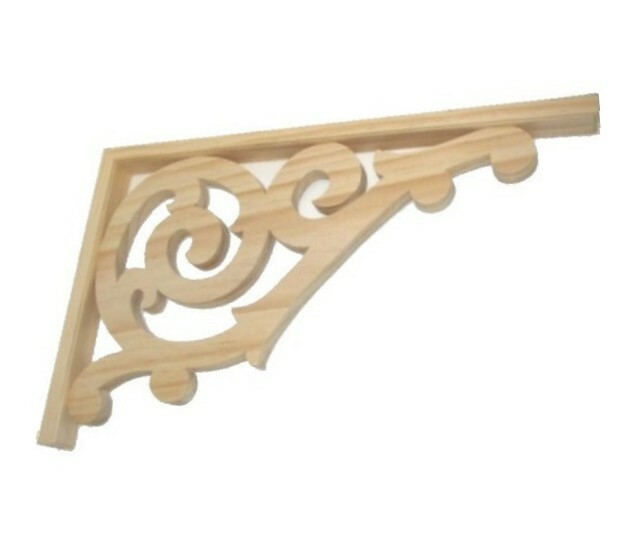 Pine brackets unframed or framed. ED1 6"X10"X3/4" handcut from clear pine. ED1F 7"X 11" X 1-1/2" handcut clear pine c/w 1x2 frame for mounting. FB1010 10"x 10-1/2" Fan Bracket Made from laminated knotty pine for painting. 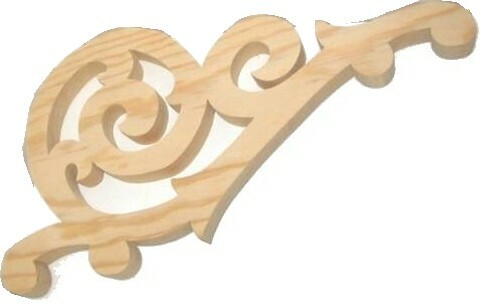 FB1010F 12"x 12-1/2" x 1-1/2" Fan Bracket Made from laminated knotty pine for painting. Framed with 1x2 for mounting. 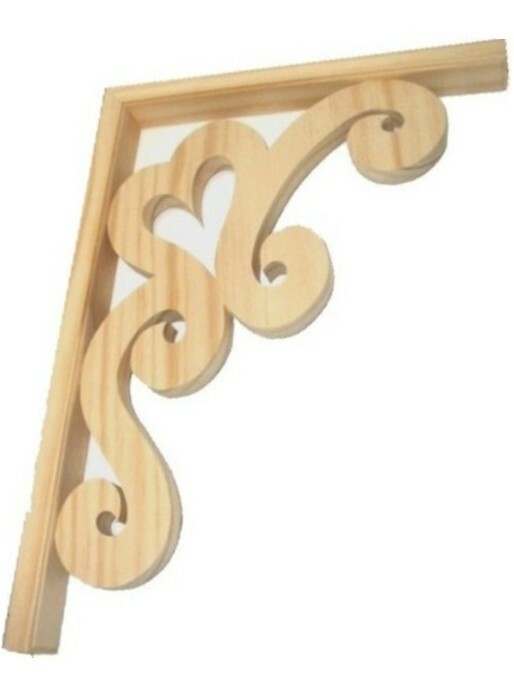 FB1115 11"x 15" Fan Bracket Made from laminated knotty pine for painting. FB1115F 13"x 17" Fan Bracket Made from laminated knotty pine for painting. Framed with 1x2 for mounting.